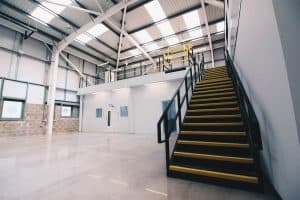 Here is your handy guide that covers everything you need to know when considering a mezzanine floor solution for your business. 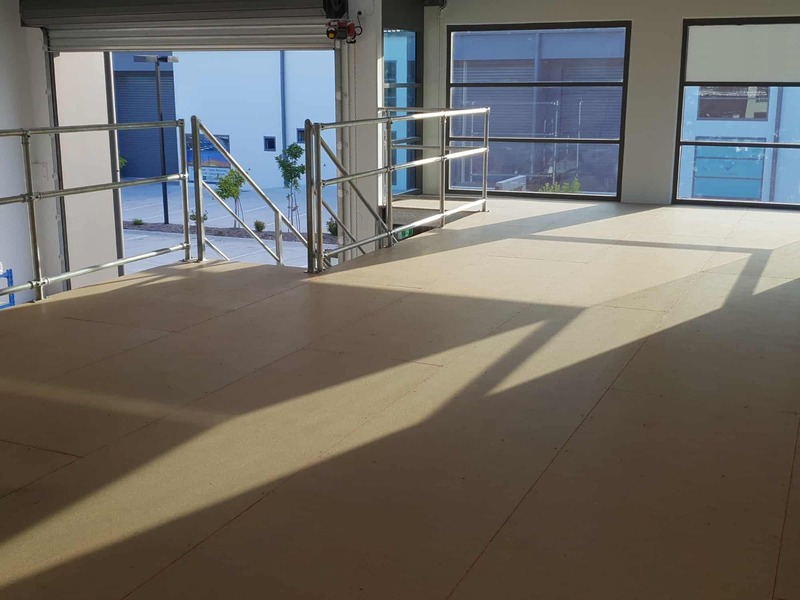 Over recent years, mezzanine floors have become an increasingly popular solution for businesses looking to increase their available work space. When you consider how easy and cost efficient it is to install a mezzanine floor it’s easy to see why. 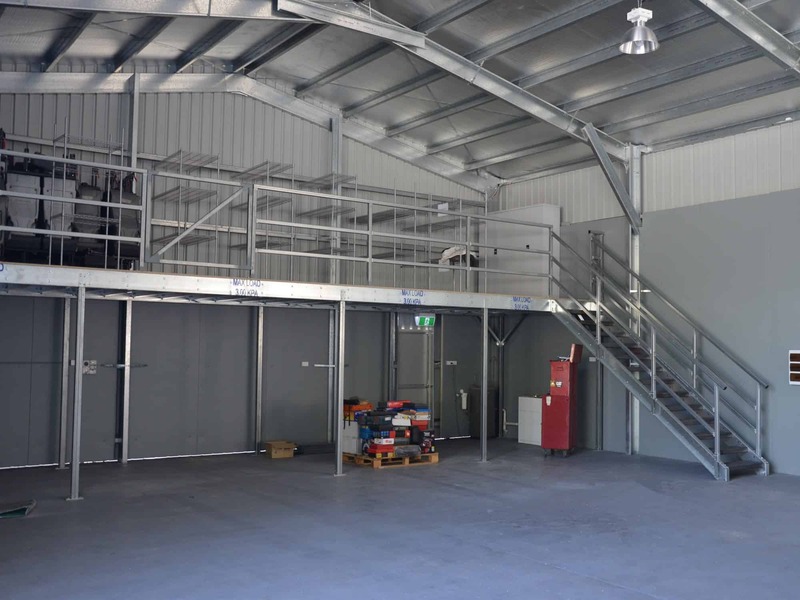 However there are many things to think about when looking to implement a mezzanine floor solution into your premises. 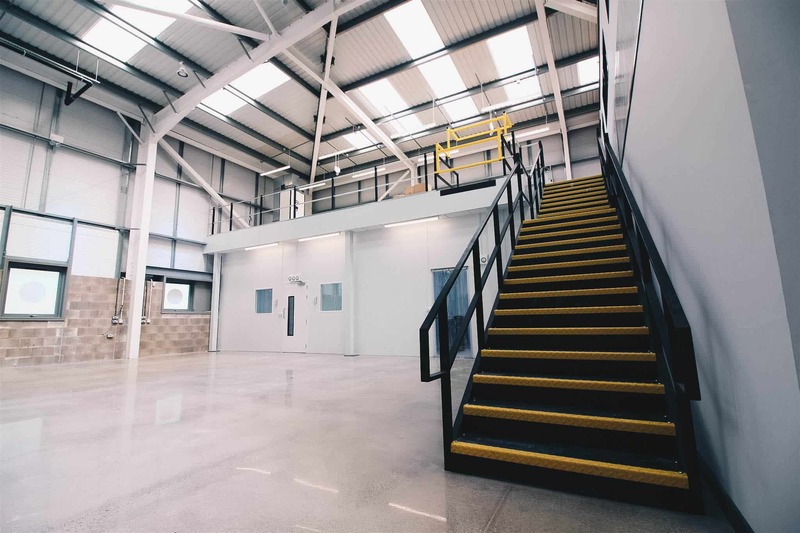 So whether you require additional office, storage or production space, we’ve put together a handy guide to help you with all the important questions and aspects to consider when looking at a mezzanine floor solution. 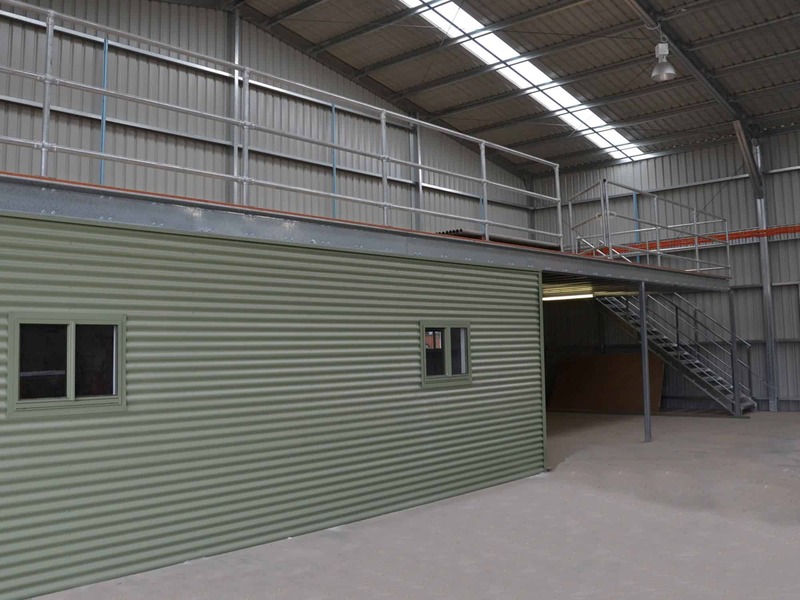 Manufactured from steel, a mezzanine floor is constructed from a combination of main beams, purlins, columns and flooring. 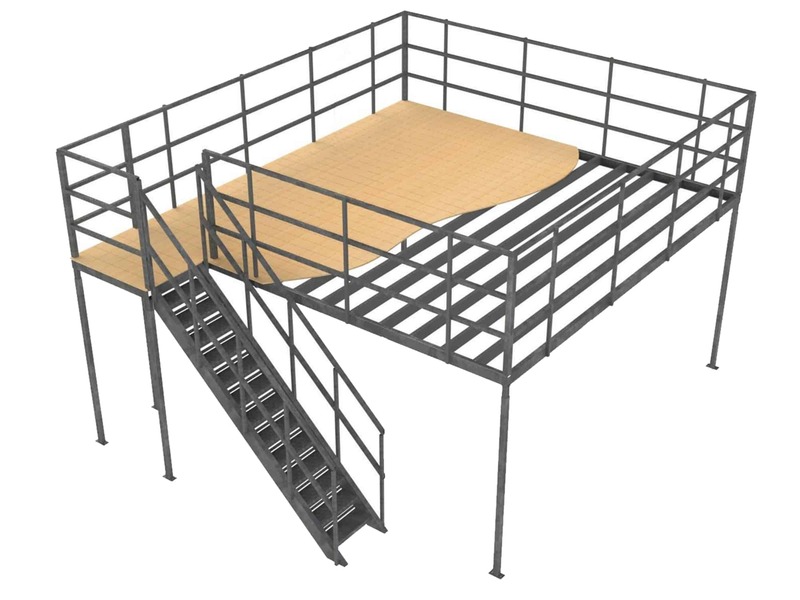 Additional accessories that may be included with a mezzanine floor are staircases, handrails and pallet gates. WHAT ARE THE BENEFITS OF A MEZZANINE FLOOR? 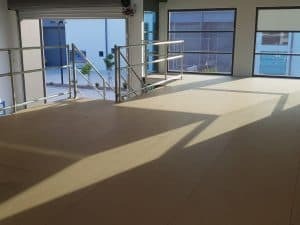 There are a number of benefits to mezzanine flooring, firstly you get the added space and secondly you save money as the cost of having to rent or purchase additional premises will be far greater than a mezzanine. 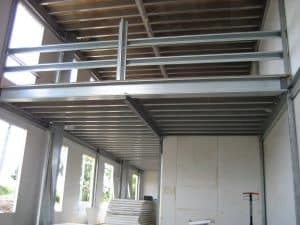 With a mezzanine you could almost double your floor space in no time at all. HOW MUCH HEAD ROOM DO I NEED? 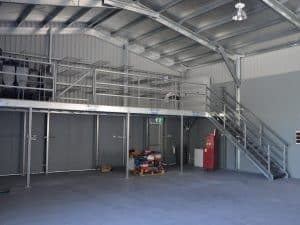 In general terms, you will need to have available head room of 5000mm or more if you wish to install a mezzanine floor. Renovating or relocating is not good for your bottom line. Both in terms of direct costs (physically moving everything, rent increases and business interruptions) and indirect costs such as downtime, sorting out a new lease and teething issues. 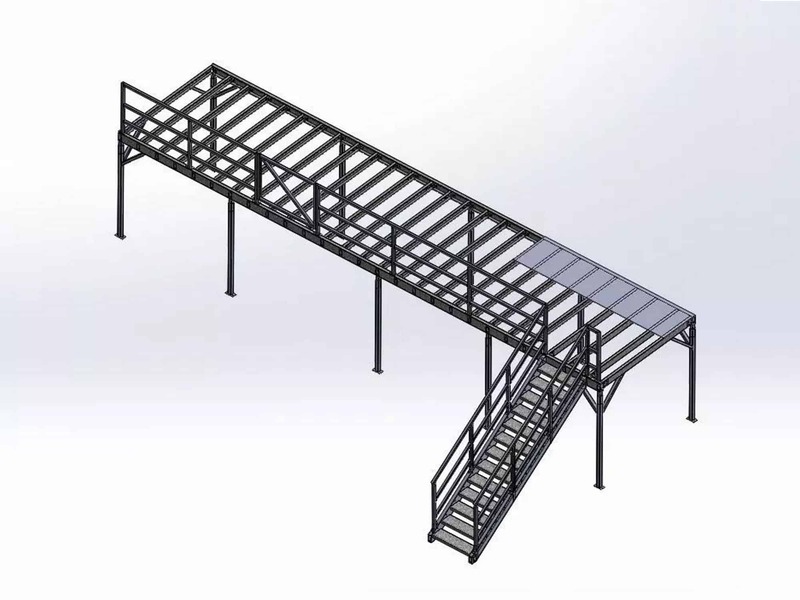 Installing a mezzanine requires no downtime, so you can continue with business as usual. A mezzanine floor is a small investment when the alternatives are considered. Plus you can easily recover the costs of your initial outlay in no time at all. 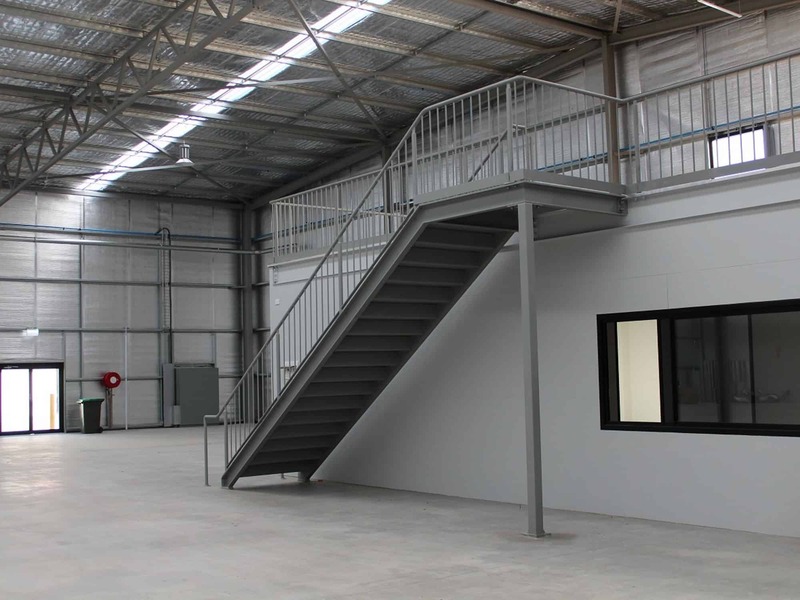 A mezzanine floor is the perfect way to create space for new offices, whether in an existing office unit, above a manufacturing space or any other type of business. 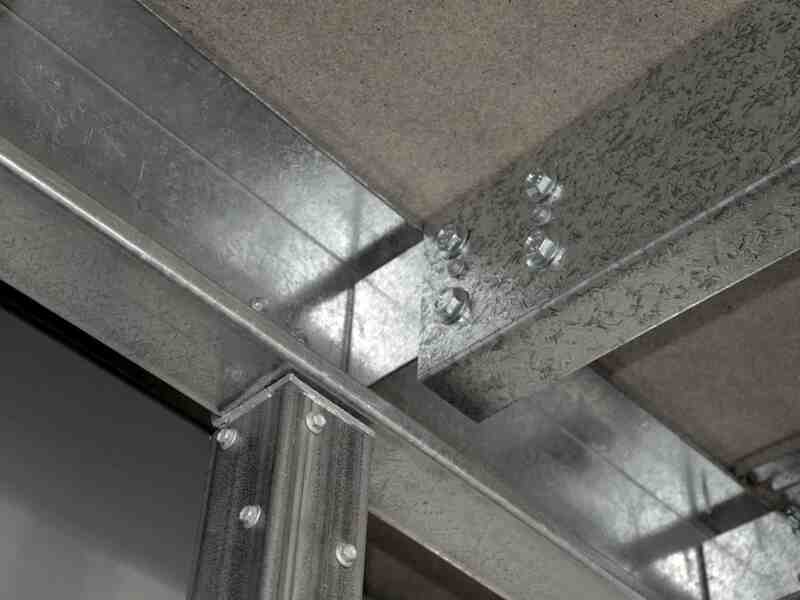 It’s significantly cheaper than a ‘block and beam’ solution, as well as being faster and less hassle to install. 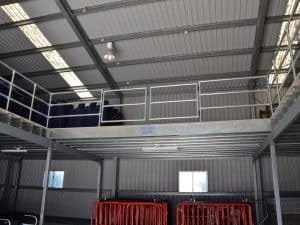 Probably the most common type of mezzanine floor. This option is chosen by customers when their existing space is no longer big enough to accommodate their needs. 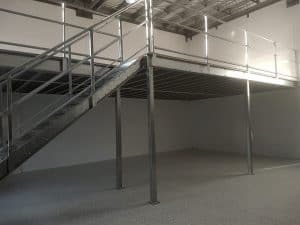 By expanding your space with a mezzanine floor you can save the substantial cost and inconvenience of moving to a new property, whilst potentially doubling your space in a short time frame and with minimal disruption. HOW DO YOU DESIGN A MEZZANINE FOR MY BUILDING & NEEDS? 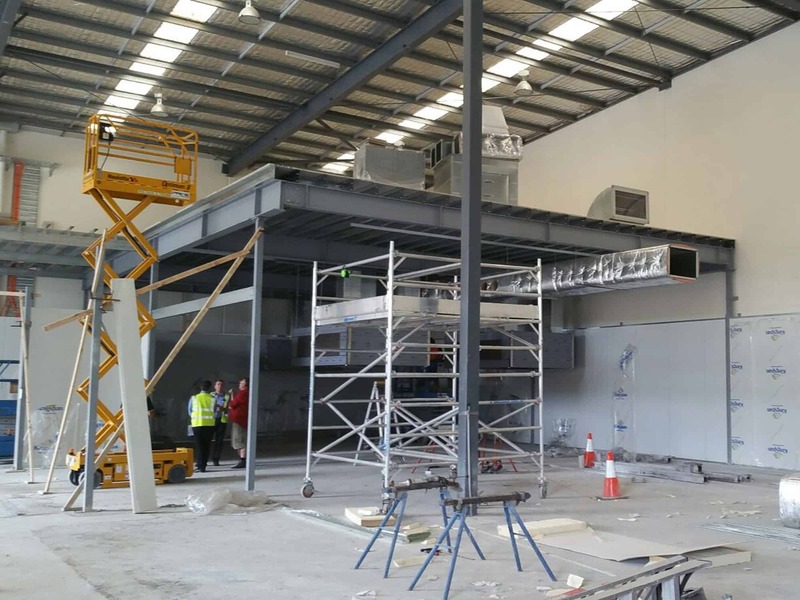 Because every building is different and every situation requires a different solution basically means that in most cases every mezzanine floor is a custom made solution. Sometimes columns can be hidden in the walls of the spaces being created below the mezzanine, or they may be integrated into an existing shelving layout. Whatever your specific requirements, our experienced designers will work closely with you to create a floor plan that will fit your exact needs, ensuring that it’s entirely fit for purpose. 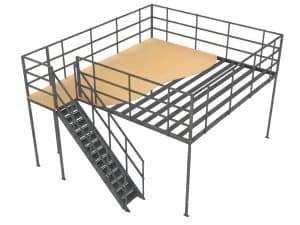 HOW MUCH WILL A MEZZANINE COST ME? 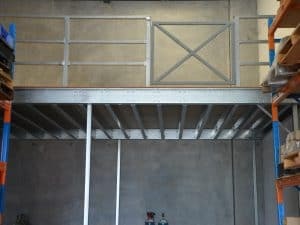 One of the most common questions we get asked is, “How Much Does a Mezzanine Floor Cost?” This is due to the fact that a mezzanine floor is one of the most cost effective solutions for creating that much needed floor space. 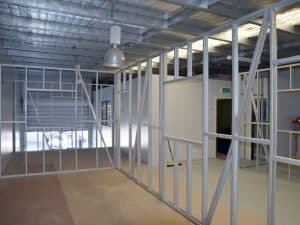 All to often the need for floor space comes at a time when moving to a larger premisis is not an option due to work loads or perhaps lease agreements. 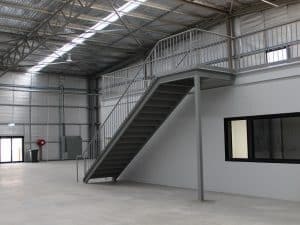 Mezzanine floors represent great value for money, especially when you weigh up the alternative options. When you compare the cost of a mezzanine to the cost of moving premises, having a mezzanine floor fitted could be up to 80% cheaper! Unfortunately, it is almost impossible to give even an accurate estimate per square meter as the cost can vary greatly depending on a number of factors. Essentially, Allcover will work with you to develop a solution that suits your budget and requirements. On average, the lead time from signing off drawing designs to delivery of your mezzanine floor will take around 3 to 5 weeks depending on the size and additional options chosen for your mezzanine floor. If your mezzanine floor requires fire rating, this will take about the same amount of time again. ARE MEZZANINE FLOORS SUBJECT TO BUILDING REGULATIONS? In most cases the answer is no, however there are some factors that will determine this. 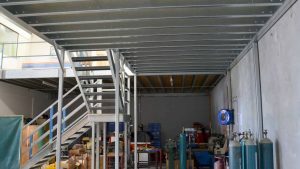 If the purpose of the mezzanine is for additional office space then planning permission may be required, each site is unique and the purpose for your mezzanine will determine if planning permission is required or not. We have the experience and expertise when it comes to ensuring we meet the appropriate building regulations for mezzanine floor projects. 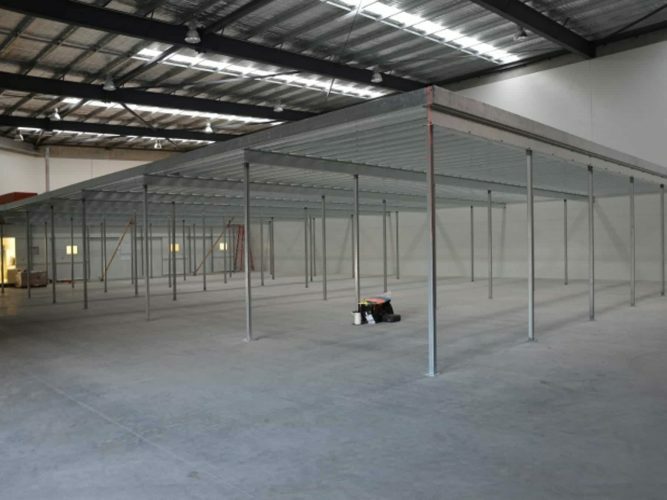 No matter if you require additional office, storage or production space, when you use Allcover for your mezzanine flooring requirements, we guarantee that we’ll always comply with these regulations. If you would like to know more contact Allcover on 1300 788 861 after a quick phone call we will be able to let you know if planning is needed for your project or not. 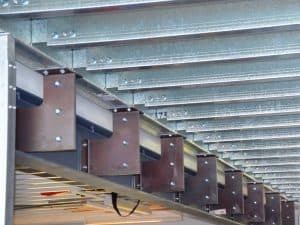 HOW MUCH WEIGHT CAN A MEZZANINE FLOOR TAKE? 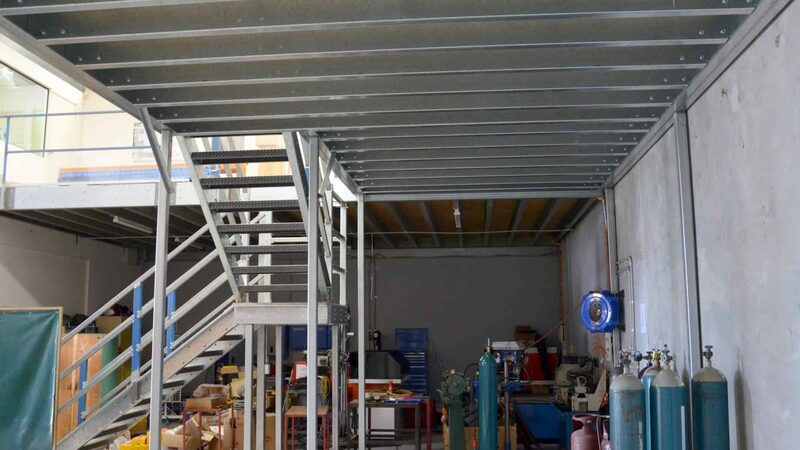 A standard mezzanine floor for office use or medium storage is designed to take 300kg per square metre (3.0kn/m2), with heavy and high live loads or high dead loads being built to hold up to 500 kg per square metre (4.8kn/m2). 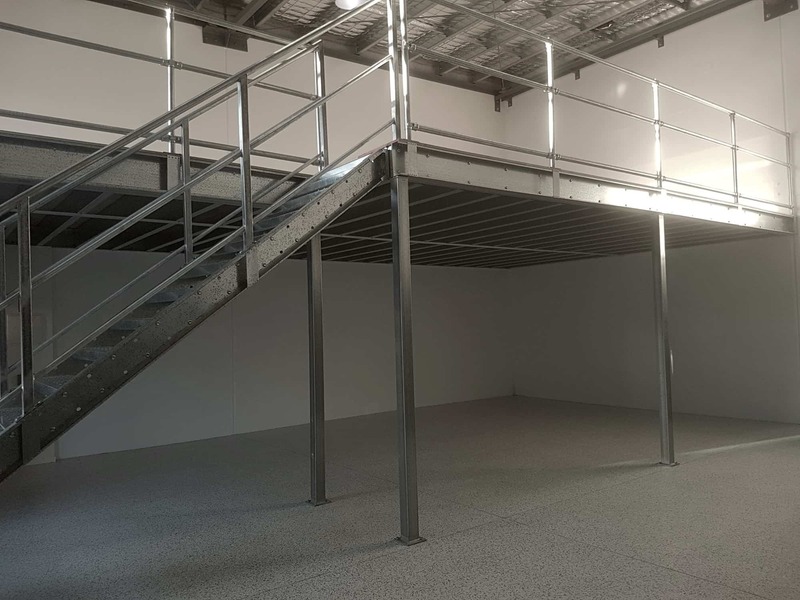 Mezzanine flooring can accommodate shelving, racking, office furniture and equipment or even a half ton pallet loaded onto a pallet truck. But we will need to know exactly what you intend to use it for to ensure that the design is appropriate and can support the weight load required. 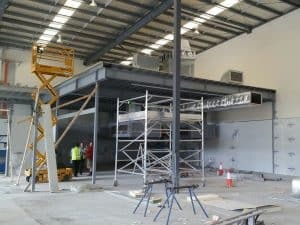 It’s even possible to design a mezzanine floor that will take a ton per square metre, which is useful if you need to install heavy machinery. However, this will usually require alterations to be made to the existing concrete floor.